Key cutting in Markham ON is not a hassle when you turn to our locksmith company. Not only do we respond quickly but send to you expert techs to handle any key service. Equipped with the best key cutting machines available on the market, the pros can make any key you like in just minutes. Do you want to duplicate a single house key? Do you like to make a large number of keys? Do you want to replace the car key? There is no limit to what our company can do for you when you need lock & key service in Markham, Ontario. Call us. 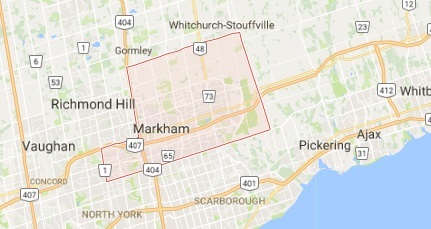 Place a call to us if you need to make new keys in Markham. With the right equipment and hands-on experience, the pros can make all sorts of keys. The locksmith comes equipped with advanced key cutting machines and a wide range of blanks. Key replacing is not an easy task anymore. Locks are more sophisticated these days and so you need a locksmith with access to cutting edge equipment and updated knowledge with all recent changes in the industry. We don’t only send you well-equipped and fully qualified pros but also responsive techs that will handle every request in a hurry. Call us no matter what you want. If you lost or broke the key, Markham Lock & Key Service will help urgently. 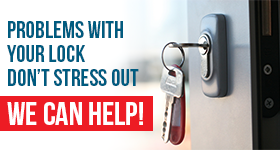 As a 24 hour key and lock company, we cover emergency needs at all times. If your key is stuck in the door lock and you need a locksmith to retrieve and replace it, call us. If you need to replace a lost key, a locksmith will be there 24/7. Of course, the response will also be fast should you need to duplicate keys or make extra keys for your family or employees. In each and every case, trust that our company will cover your key cutting Markham service needs very quickly.